Old cities have a unique charm that is timeless. The streets and the squares have their own stories to tell. The buildings, albeit enshrouded in insignificance and neglect, resonate with lullabies of the bygones. Every nook and cranny, every avenue speaks of the spirit of an age-old legacy. This “spirit” is what captures and enthralls the observer… and you need only pause a bit, and follow the cues that these spaces have developed over time, to find the magic that we are talking about. These cities, after all, are not just geographical entities… they are living, breathing and thriving as much as the people living in it. About four centuries ago, Job Charnock, a venturing agent of the British East India Company, established control over three marshy villages by the Hooghly River – Sutanuti, Gobindapur and Kalikata – and unified them into one. A city was born. 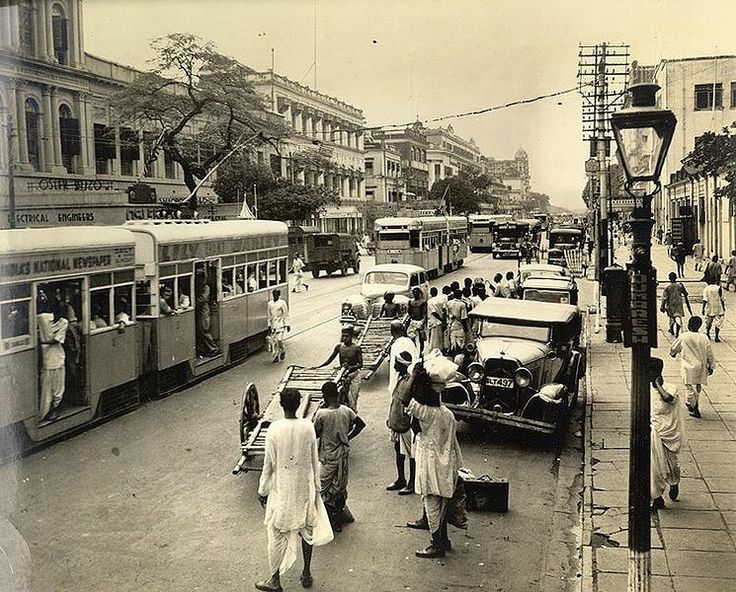 Calcutta, later christened as Kolkata, used to be a flourishing harbour for jute, opium and muslin. It invited factions of foreigners, explorers, tradesmen, scholars and writers alike. The City of Palaces also served as the capital of the nation till 1912. During the First World War, which saw brutal killings and massacres over a period of five long years, India was under the British rule. Britain, along with Russia and France had formed an alliance termed as the Triple Entente, and had declared war on Germany. The US, which had abstained from war, also got involved in the worldwide bloodshed after unrestricted submarine warfare inflicted on their navy by the German forces. A garrison of American soldiers had been posted in Kolkata in those days, and a mess was built for them in Central Kolkata, along both sides of the Meeru Jauney Gully. The US soldiers, however, did not consider staying in such housing appropriate to their standards. They mutually agreed to shift to Fort William, about three kilometers from the Barracks. Rejected by the army, these flats were handed over to the Calcutta Improvement Trust, which let these flats out on rent to the blossoming populace of Anglo-Indians of the city. The flats prove to be very successful and yielded a good amount on a lease. A more famous connotation of the buildings today is the Bow Barracks. 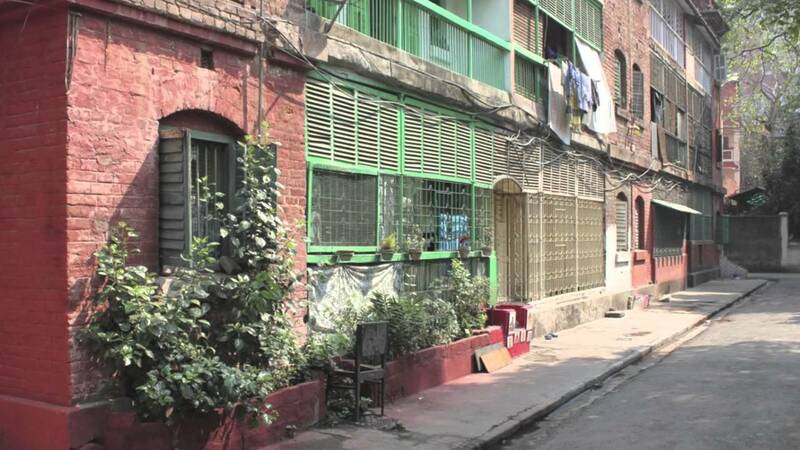 Situated in a narrow lane between Hare Street and Bowbazar Police Station off Central Avenue, the Bow Street Flats are popularly termed as the Bow Barracks. 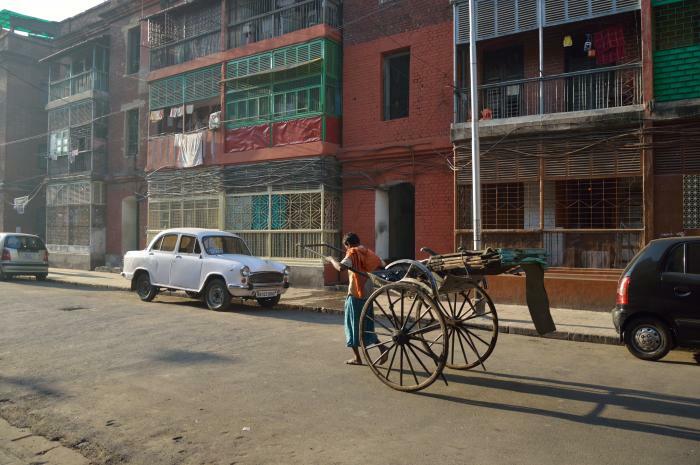 The neighbourhood comprises the Bow Street, the Pikhana Street and seven blocks of three-storied buildings, which have ripened with age but still stand strong and sturdy. There are no written facts to prove the area’s telltale history. The place is easily accessible by means of both private and public transport. The Bow Barracks are within a walking distance of merely two minutes from the Central Avenue and Chandni Chowk Metro Stations. The flats, which were originally lent to Anglo-Indian tenants on rent, have sort of embraced the legacy. Today, the Bow Barracks is home to about 450 native and biracial families and a great percentage of these are Anglo-Indians. Some of the families have been residing here for the past five decades. The place lives up to the definition of a multicultural community. 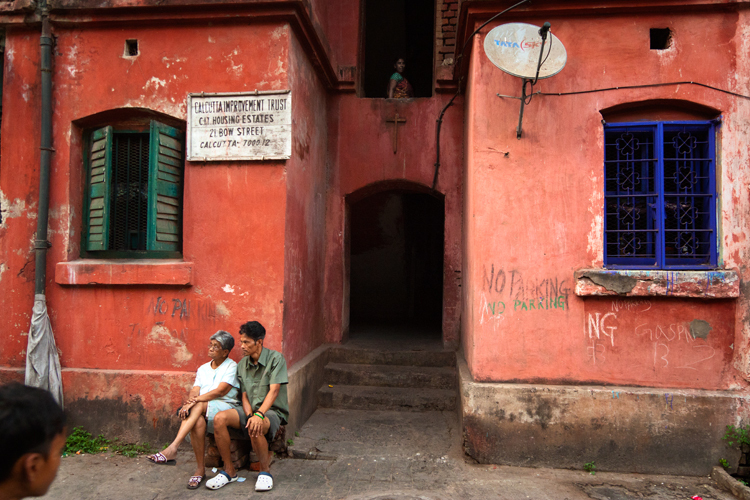 The Anglo-Indians – the greater part of Bow Barracks’ populace as well as history – have a story of their own. The Anglo-Indian community – well-maintained, refined, hospitable and lively – are a mixed race. Their history traces back to that of the city itself. Although integral to the city, their mannerisms were much like the Englishmen. 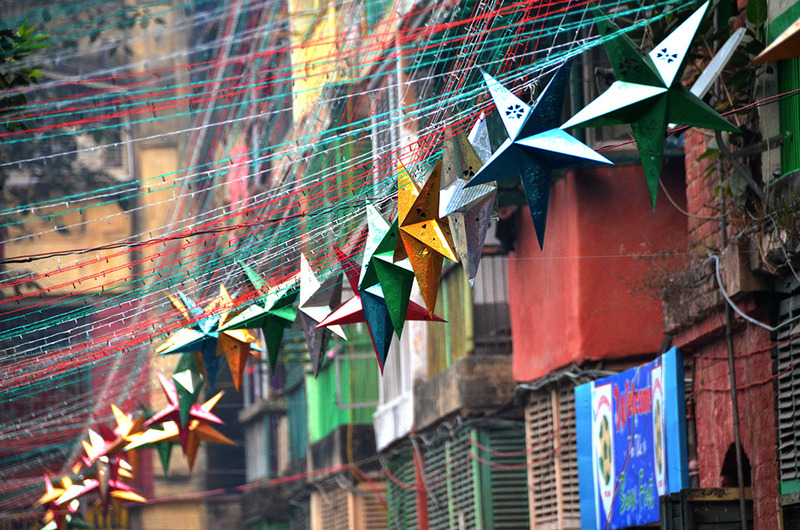 Kolkata is said to have been home to a community of over 50000 people. The Anglo-Indians set great examples in their respective fields of profession and education – be it in the railways, merits in the classroom or laurels on the sports field. Only a few of them, however, decided to opt for higher studies. Posts were reserved for them and did not require an array of degrees. Nevertheless, they were a hardworking and diligent community to be inspired by. Their language was somewhat a blend of English and Hindustani – just like their lifestyle. The Anglo-Indian woman worked both at home and outside and defined women empowerment. Owing to the transferable nature of their professions, the Anglo Indians rarely built their own homes. 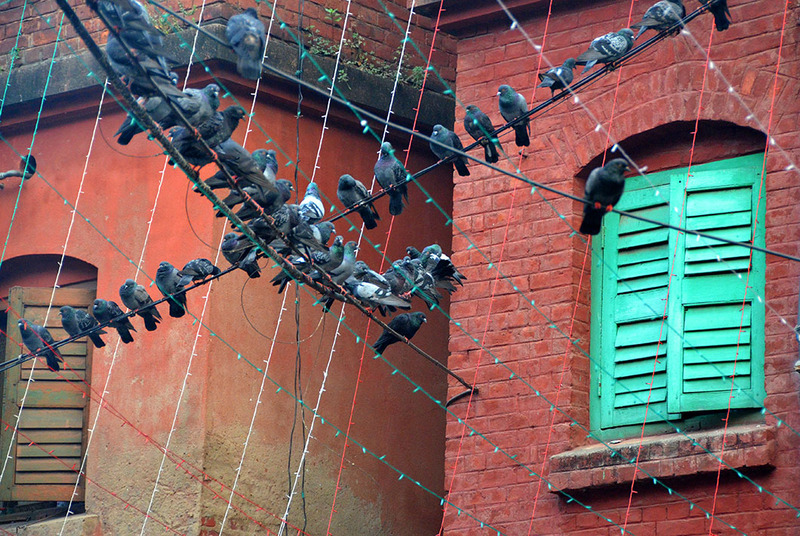 They lived on rent in some of the well-known areas of Kolkata today – Esplanade, Ripon Street, Free School Street and many others. The Bow Street was one of them. The exteriors are grungy and feeble to look at, but the interiors are well-maintained, clean and beautiful. Come the 1950s, and the people, who mostly belonged to the Anglo-Indian community, started to feel some sort of inadequacy living in the humble streets of an ill-shaped city. ‘Abroad’ was what was associated with a life of added privileges, a more affluent lifestyle and superior standards. The Bow Barracks got engulfed in the shadows of cynicism that cropped up within its dwellers. The Bangladesh Liberation War marked migration of large masses of people into Kolkata from across the borders. 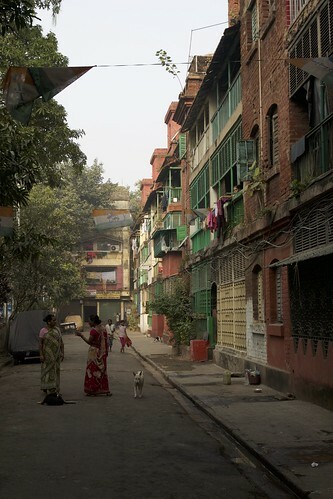 A few years hence, post a war in Bangladesh, Islamic descendants also came to inhabit the Bow Barracks. Hindus, Muslims, Christians, and Anglo-Indians hence came to inhabit the Bow Barracks together – an enviable concoction of colourful communities. In the past decades, the Bow Barracks proudly housed about 132 families. The Barracks sport a bleak and hushed veil throughout the year, except during the week-long Christmas and New Year Celebrations. 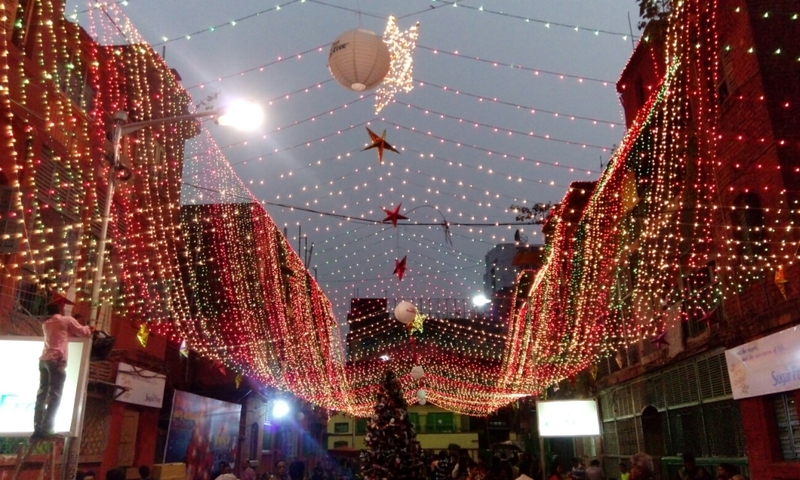 The delightful frenzy of festivities swathes the entire locality in an aura of playful lights and fervent colours. The merriments bring together the old and the young. The newer generation of residents, who have left their families behind to work in foreign lands, come back in this part of the year to join in the jubilee. One thing that is closely associated with the Bow Barracks is the food – home-made cakes, cookies and wines. Any traveller on a visit to the vicinity doesn’t leave without tasting these delicacies. There is also a famous bakery owned by J N Barua (Montu) which provides mouth-watering goodies to jazz up the festive season. The Anglo-Indian and Christian families here have been brewing wine as a tradition for ages since. It is customary for the women in the neighbourhood to sell home-made wine. The social life of the residents is not just limited to this. Sports like football and hockey are favourite pastimes of the locals. The occupants have had an immense zeal for hockey for the past 60 years. 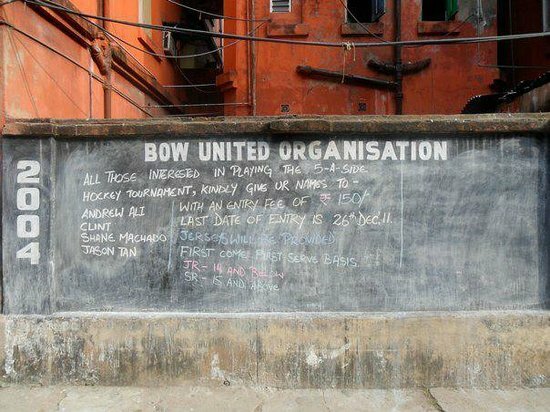 The club formed by the residents for the management of their own affairs, the Bow United Club, holds regular tourneys of the same. Some stalwarts of the sport – Keshav Dutt, Leslie Claudius and Gurbrux Singh have partaken in these tournaments. We have all read of little self-sustaining hamlets in those fairytales back in our childhood – where the people celebrated life and lived in satisfaction, where love and concord dwelled in the environs. Bow Barracks is one such hamlet of our dreams. The life of the place is not just spelled in its rich history or its festive celebrations. In fact, its soul lies in its people. Their hospitability and tenderness speak of the beauty of their little community. The place has an old-world charm to itself and one can spend a restful evening here amidst hums of poignant music and giggles of good old men. Kolkata has changed much right in front of their eyes, and it is an enriching experience to know of the times gone by from their end. The estate, spread over 3-odd bighas, today tells of the wears of time. Now reduced to a fragmented edifice, the buildings comprise single, double as well as triple bedroom flats. Very colonial in form, the Bow Barracks are similar to the Jorashako group of buildings in this regard – the combination of brick-red and green. Fort William (1706) and the Writer’s Building (1777) also bear a similar red facade. The locality already houses a Buddhist Dharmankur and a Parsi Dharamshala. By way of culture and heritage, the Bow Barracks is one jewel of a settlement. A part of the Calcutta Improvement Trust since 90 years now, the architecture of the Bow Barracks has a special, distinctive character to it. The hues of the ambience at the Bow Barracks are spellbinding. Three-storey high buildings painted in red are beautifully contrasted with the green colour of the windows and doors. A brilliant play with the complementary colours of the colour wheel we must say! Such a contrast makes both stand out and amaze you with their disparity. On a rainy day, this monsoon, imagine walking between the grey sky and the grey street, heading towards rows of red buildings on both sides. Yes – we call it awe-inspiring. Halsey Ricardo, famous architect and designer, credited with the architecture of the Howrah Railway Station, is said to have left his marks on the Barracks. The architecture of the Barracks is minimalist and speaks of brevity. The cornices are ornate, the arches well-dressed and the shutters rhythmic. The architecture, quite astonishingly, seems to be repetitive on the whole, yet speckled in details. A grotto was built in 1967, in the passage between the sixth and seventh blocks, for the residents to come together and pray – another remarkableness of this cohesive commune. The initial concept was to amalgamate people by religion. The grotto, however, managed much more than that, and united all and sundry. The green fenestration of the flats are another amazing – read iconic – feature of the Bow Barracks. In those days, stock fenestration had amassed popularity in and around the locality. This had an impact on some of the houses at the Bow Barracks too. Till date, most of these fenestrations retain their antiquity – except a few, which required immediate attention. As part of undertakings of the Bow United Organisation, a few shops were introduced in the locality, in addition to the already existing confectionery, woodwork, and ancillary shops. This may be seen as an attempt towards the betterment of the way of life of the inhabitants. 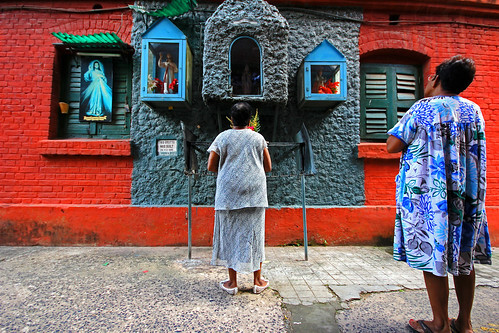 In what can be termed as a ‘Colonial Hangover’, much of Kolkata seems to be dying. The buildings at the Bow Barracks started to develop cracks and ugly fissures. The surfaces were plastered, with the best efforts to retain the character of their rich legacy. The residents too, out of sheer respect and nostalgia, have refrained from making any visible changes to the colour and pattern of the Bow Barracks. Red and Green came to be treated as symbols of the incredible blend of Architecture and Culture. It is essential to understand that at some places, the form, colour, patterns and texture of the built form is not all that matters. Architecture is not only about this. The magic lies elsewhere. For some places, what matters is the merry cry of a child calling out to his friends for a match, as he leaps over a puddle, watched by all too familiar eyes standing on green balconies… their vision fading with age but their souls still young. For some places it lies in the homecoming of a man, who has long chased the joys of life, and finally seeks it in his own roots. For some, it’s in sharing a steaming cup of tea and their lives with the people around. And for some, it is to be found on starry nights when hundreds dance merrily to the tunes of happiness and count their way to the birth of a messiah.